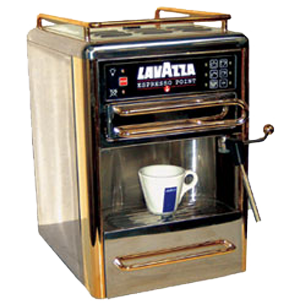 Public Market is proud to offer 2 machines from Lavazza to ensure a superb cup of espresso. 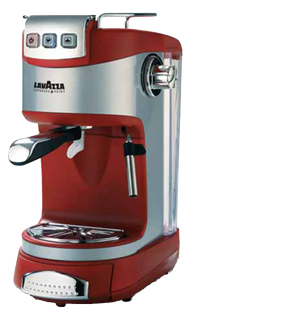 Both Machines are user friendly and use the same specially designed Lavazza cartridges which results in a finished quality product. An optimal espresso and cappuccino machine. Perfect for any home, office, or business. This is an ideal coffee system for your home, office, or business. It uses Lavazza Espresso Point Cartridges ONLY. It is beautifully designed to compliment any countertop. It features an automatic single touch coffee selection with three different levels of pour. Includes a removable 1 gallon water reservoir (no water hook up needed) and a built-in milk steamer to make perfect lattes or cappuccinos. Perfect for use in your home or office. Uses Lavazza Espresso Point Cartridges ONLY. Features a built in steamer to make lattes or cappuccinos. The EP-850 has a compact design, perfect for your countertop. It has a removable 57-oz water reservoir (no water hook up needed) and it makes a great gift. No Mess to clean up!!!!!! 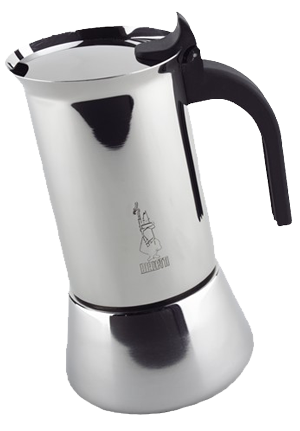 “The original Italian stovetop aluminum espresso maker"
Available in 5 sizes: 1cup, 3cup, 6cup, 9cup, and 12cup. Durable constructed espresso pots Available in 3 sizes: 2cup, 4cup, and 6cup. We have a large selection of espresso spoons, rubber gaskets for stovetop pots, and espresso cups and saucers.